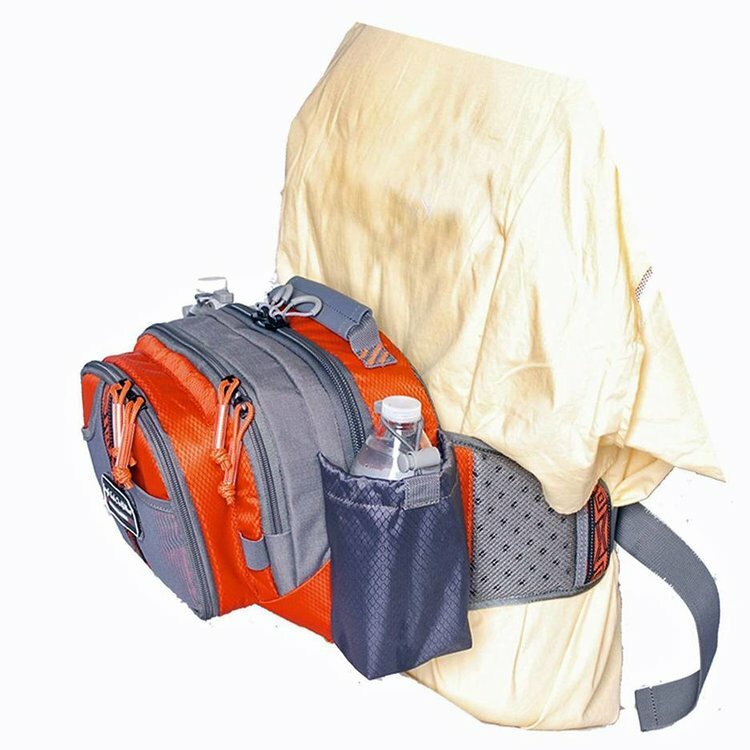 TFO's Lumbar Waistpack is just the thing for carrying a half days worth of gear without the need of having to wear a hot and cumbersome vest. Features Raised Vent pads to promote ventilation. 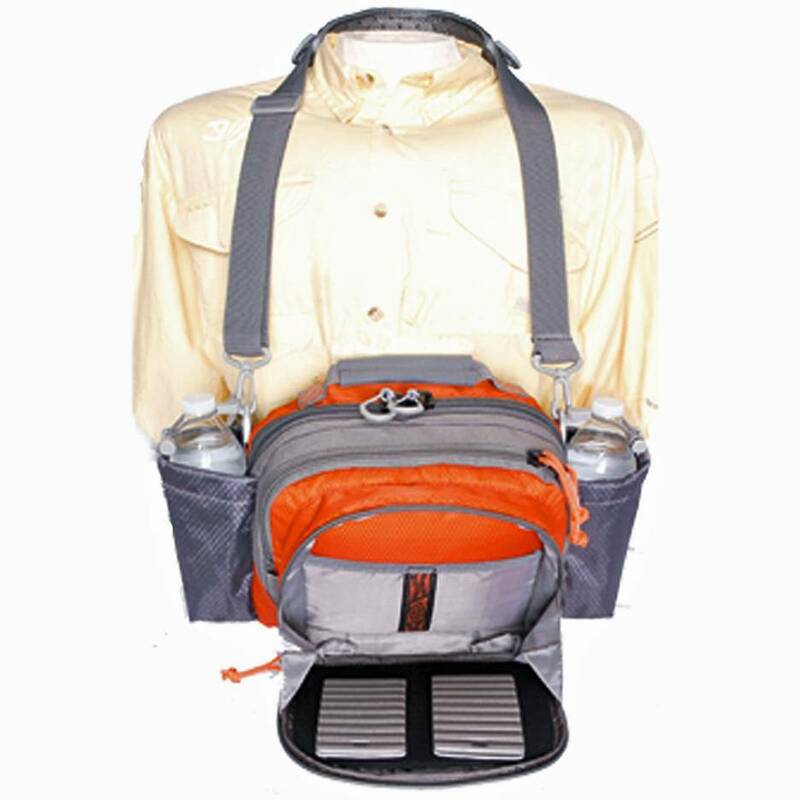 The main compartment will hold 3 or 4 fly boxes and features oversized loop zipper pulls for easy access. The center pocket has a divider, a zip pocket, key ring clip and room for a couple more fly boxes or other gear. The front “Drop Down” pocket can be used as a work station and features 2 removable ripple foam patches. This pack also comes with an additional neck strap so it can be used as a chest pack in deeper water. The pack also features twin side pockets for water bottles to help keep you hydrated.